PARIS -- PSA Group has been referred to French prosecutors over suspected diesel emissions cheating, the company said on Thursday. The decision is a blow for the automaker, whose diesel technology had until now escaped serious criticism in the wake of the Volkswagen Group emissions-cheating scandal. 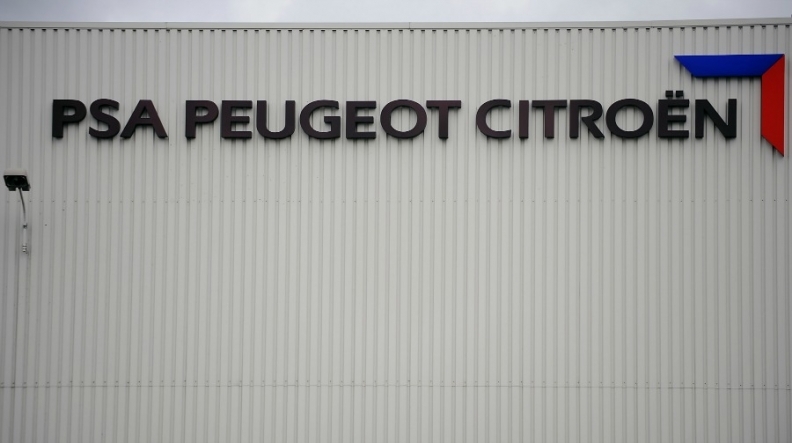 "We are extremely surprised, even shocked by this decision," PSA engineering chief Gilles Le Borgne told reporters at the company's headquarters. The company denies using banned engine software cheats, he said. PSA is the fourth carmaker to be referred for possible prosecution by France's consumer fraud agency, after Volkswagen, Renault and Fiat Chrysler Automobiles and the second this week after FCA on Monday. PSA's offices were raided by French fraud invesigators as part of a wider government probe on pollutants in the automobile sector in April. At the time, authorities said it had searched five premises following "anomalies" in emissions tests. Following VW's exposure in 2015 for U.S. diesel test-cheating, several European countries launched their own investigative test programs. They found on-road nitrogen oxide (NOx) emissions more than 10 times above regulatory limits - for some General Motors, Renault and Fiat models - and widespread use of devices that reduce exhaust treatment in some conditions. Carmakers have broadly invoked an EU legal loophole designed to allow such software only when it is necessary for safety or engine protection. PSA diesels under the current Euro 6 standard have cleaner emissions than many mass-market rivals, thanks to their deployment of costly selective catalytic reduction (SCR) as standard. But in a government-backed testing program last year, five PSA vehicles of the last Euro 5 diesel generation emitted significantly higher NOx in motorway driving conditions when engine temperatures were increased. By design, the cars' so-called EGR emissions treatment is deliberately reduced at higher temperatures to improve fuel efficiency and carbon dioxide emissions in out-of-town driving, where NOx and particle output is less critical, Le Borgne said. The company last year began an independently certified real-world CO2 emissions-testing program and began publishing results measured for all its vehicles on the road. "We don't know what more we could have done," Le Borgne said.